Nanomedicines need to be taken up by diseased cells in order to release their cargo. Cancer cells have altered membrane properties that hamper their ability to take up nanomedicines. A research team led by Prof. Dr. Prasad Shastri at the University of Freiburg has shown that the stiffness of the cancer cell plasma membrane affects how nanoparticles are internalized, and this process can be enhanced when the cell plasma membrane stiffness is increased. These findings are published in Small. "In order to increase therapeutic effectiveness, it is critical to find general principles that can positively influence uptake of nanomedicines into cells," says Shastri. A cell swallows nanomaterial from its immediate environment via deformation of the cell membrane through a process called endocytosis. According to Shastri, up to this point, research efforts have primarily focused on how and which membrane proteins are responsible for this process. It is still relatively unclear what role the biophysical properties of cell membrane play in this process. 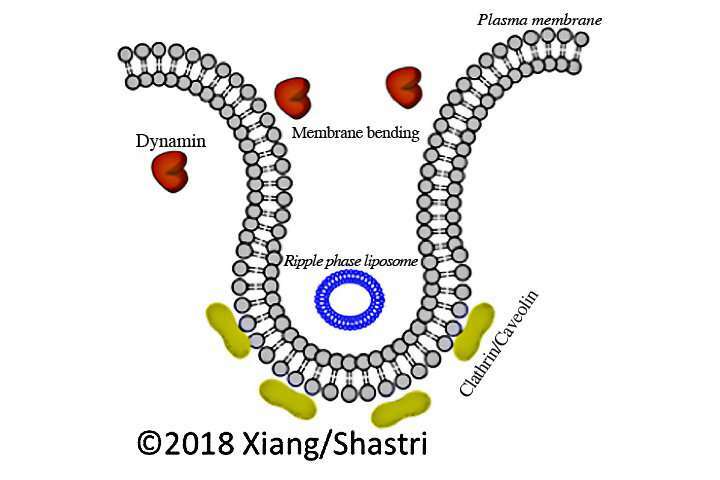 The Freiburg team of Shastri, Dr. Shengnan Xiang and Dr. Melika Sarem, have now discovered that liposomes—nanoscale vesicles of lipid molecules encompassing an aqueous core—can be used to alter the stiffness of the cell plasma membrane through lipid transfer. Increasing the stiffness of cancer cell membrane enhanced the entry of polymer nanoparticles through pathways rich in cholesterol. "The results show that the biophysical properties of the cell membrane provide important starting points for further improving targeted treatment of tumor cells," says Shastri.